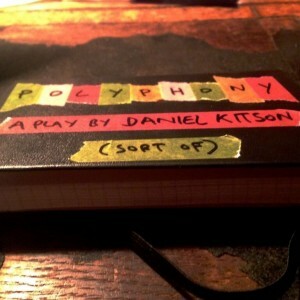 I have written a play – a real humdinger. It has a pretty epic scope, a relatively staggering vision and somewhere in the region of 20 characters. Each of which has been performed and recorded in isolation, producing a litany of individual voices – each of them perfect, captured as a single track that will, when played back in precise unison, form a glorious theatrical polyphony. The play is perfect. The recordings are perfect. I just need enough people to hit play. That’s all.